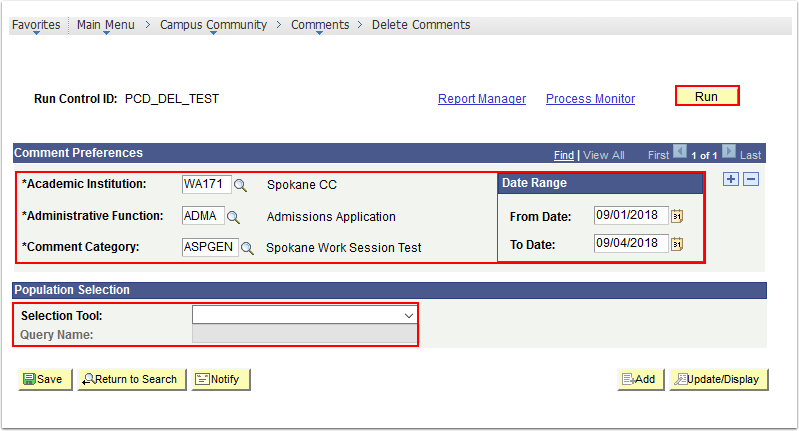 Enter a new Run Control in the Run Control ID field. Upload File - file mapping. 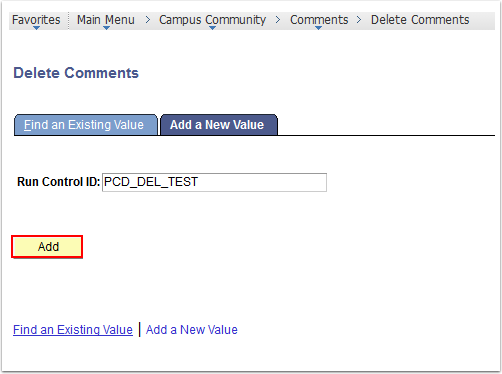 Enter Query Name - prompt. 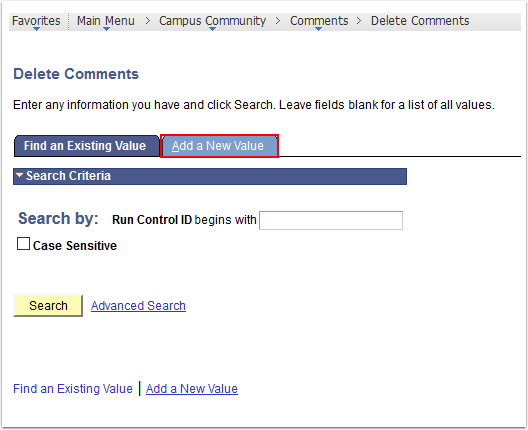 Then select the Process Monitor link on the Delete Comments page. 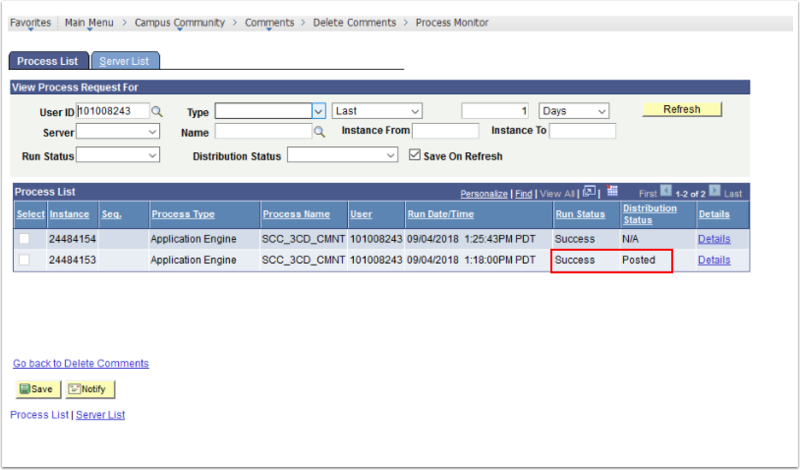 Verify process has run successfully when Run Status is "Success" and Distribution Status is "Posted".